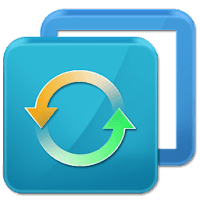 AOMEI Backupper a complete, easy-to-use and reliable file sync, disk backup, system recovery and cloning software for PC and Server. You can easily use it to back up entire hard disks or specified partitions. Once your data loses or system crashes, you can use AOMEI Backupper to restore system image or other data, and it can restore system image between dissimilar hardware. Supported storage devices include Internal and external hard drives, SSD, USB flash drives, CD/DVD, network share, cloud drive desktop apps, Hardware RAID and virtual machine systems, etc. Developer: Aomei Technology Co., Ltd.
Disclaimer: Direct downloads for the lastest version of AOMEI Backupper 4.5.2 are provided by the official software's author, we can't guarantee safety, availability or download speed. Moreover, we don't and we won't provide any pirated/illegal versions or tools. We recommend you to avoid it as these methods can harm your device. If you like the software, buy it to support the developers. (We provide software discounts for many worldwide brands).